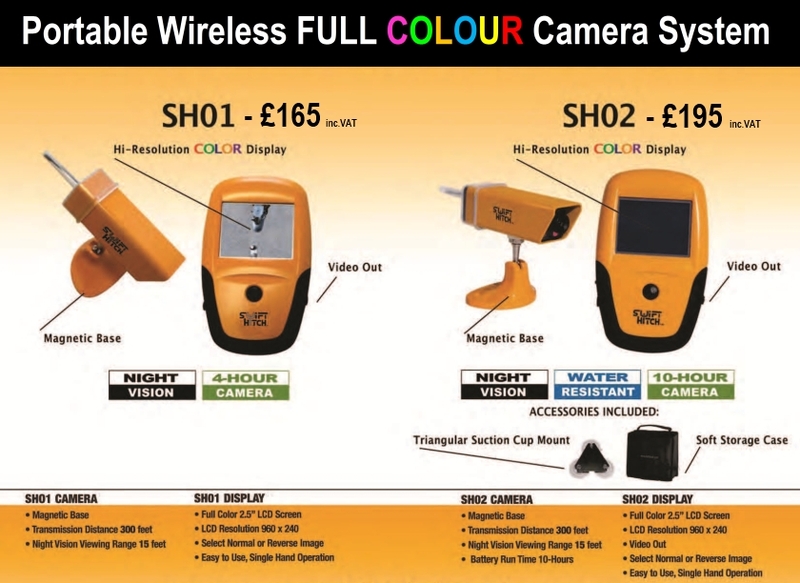 Watling Engineers - Suppliers of the Swift Hitch original wireless backup camera. Available to order by calling 01727 873661. 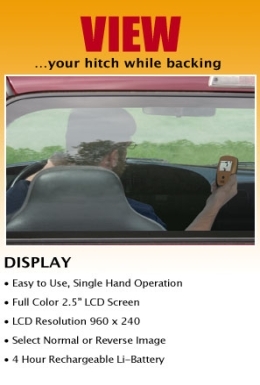 Swift Hitch is the original wireless backup camera system designed to assits anyone who has ever struggled with hitching up any trailer or snow plough. 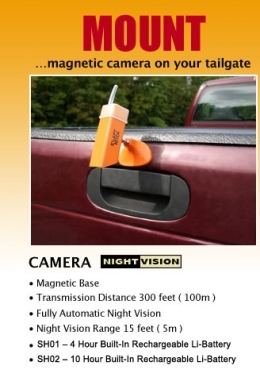 Since 2006 the Swift Hitch's portability, reverse imaging and night vision capabilities have made this innovative product a valued tool. Swift Hitch's versatile system can be used by farmers, building and marine inspectors, and wherever an additional set of eyes can come in handy. Because the Swift Hitch is completely wireless, it can be used on both the front of your vehicle for hitching up your Watling Front Towbar as well as for your rear towbar. 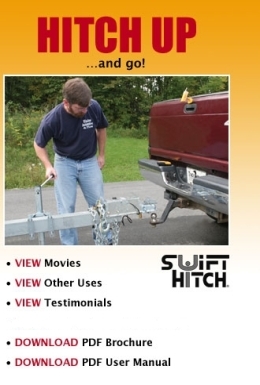 The Swift Hitch is available in 2 options: SH01 is the basic model and SH02 is the premium model. Order now by calling us on 01727 873661. Both options come with 12V car charger and 'Y' shaped lead so that both halves can be charged at the same time but the SH02 model also includes an excelent carry case, a suction cup mounting base and a much longer run time. The Swift Hitch has plenty of other uses as can be seen below. To order, please call us on 01727 873661. Hitching up a snow plough with the Swift Hitch becomes a 1 person job! © Watling Engineers Ltd. 2006. All rights reserved.